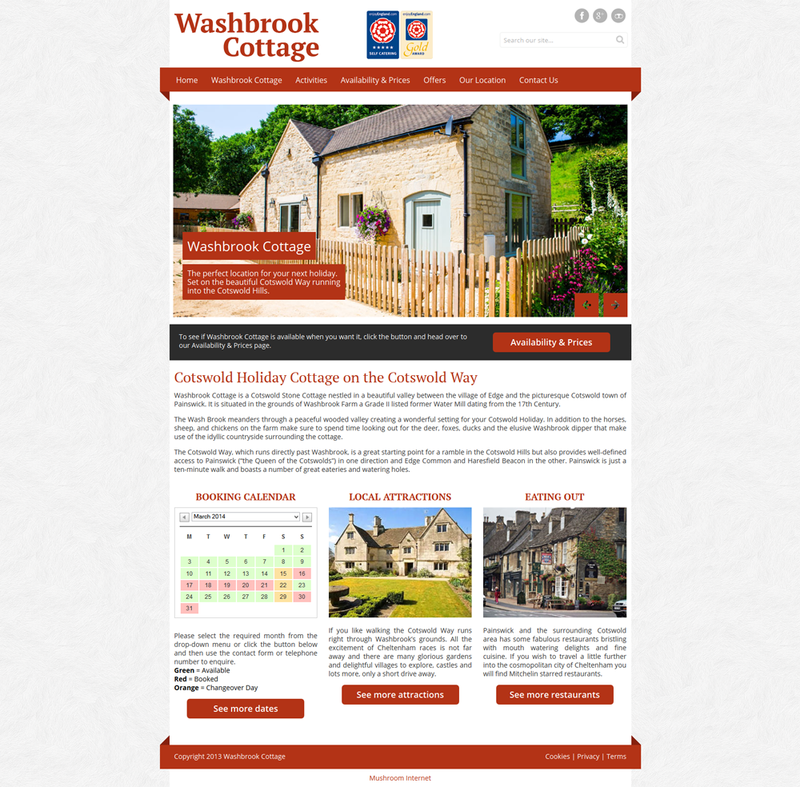 Washbrook Cottage is a Cotswold Stone Cottage nestled in a beautiful valley between the village of Edge and the picturesque Cotswold town of Painswick. It is situated in the grounds of Washbrook Farm a Grade II listed former Water Mill dating from the 17th Century. Mushroom Internet are pleased to work with local companies in the Stroud, Painswick, Nailsworth and Stroud area to enable Cotswold Businesses to grow their custom.